The 2015 BAFTA Game awards ceremony has just concluded in London. Alien Isolation received six nominations and ended up winning the award for Best Audio Achievement. The awards for Best Music went to Far Cry 4, Best British Game went to Monument Valley and Best Game Design went to Shadow of Mordor. The Vanishing of Ethan Carter won Best Game Innovation and Best Game went to Destiny. For a full list of winners from the 2015 BAFTA Awards, you check out the official BAFTA website. Congratulations to Creative Assembly for their outstanding work on the game! I guessed it would win an award for sound design or the music. I’m surprised it didn’t pick up a few more awards too. Hmm. That says it all. Disgusting, Destiny is some of the worst trash I've ever have the misfortune of laying eyes upon. I really hate to say it but a lot of those awards it really didn't need to win. Best audio is fine. It's an interesting game but it has some real flaws, I love it, but it's not everyone's cup of tea. I don't think anyone in something as serious as BAFTA is "shouldn't be taken seriously" for awarding it with Best Audio. Which it deserved wholly. Wow. This whole thing is botched. A:I should've won more awards, for sure. As much as I love Destiny, I can't believe it won Best Game. I'm surprised this didn't pick up Best Game, but I flat out can't believe it lost to Destiny. SEGA's pockets ain't as deep as Activision's. It really should've won more. At least the one for the best British game. At least the team came away with one award and Audio was probably one of my favourite aspects of the game. It's over. 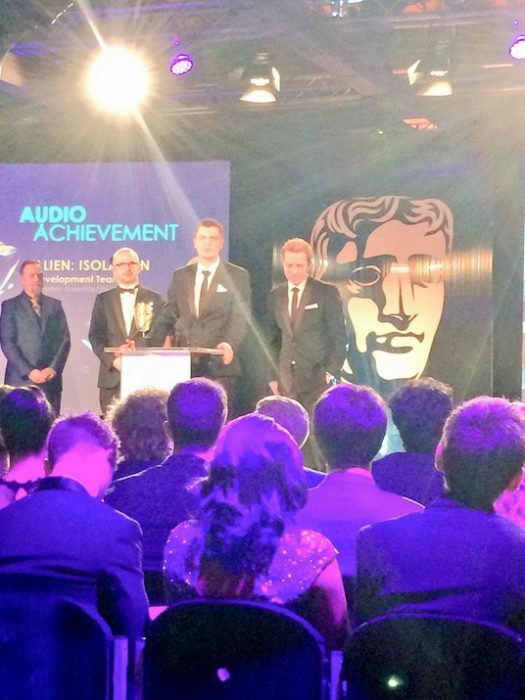 Alien Isolation won one award out of the six it was up for - Best Audio Achievement. I thought it would have picked up more awards. Best Music went to Far Cry 4 somehow. Monument Valley won two awards. I liked it but the game lasted me about an hour before I finished it.